Welcome to the EAA Chapter 1246 Website! Come to our Monthly Chapter Meeting - FREE Coffee and Donuts! Every first Saturday of every month, we get together for our monthly Chapter meeting at the airport, for some great fellowship and fun. We have Free coffee and donuts for everyone at Pat Longs Hangar in the McKinney Hangar Owners Association. 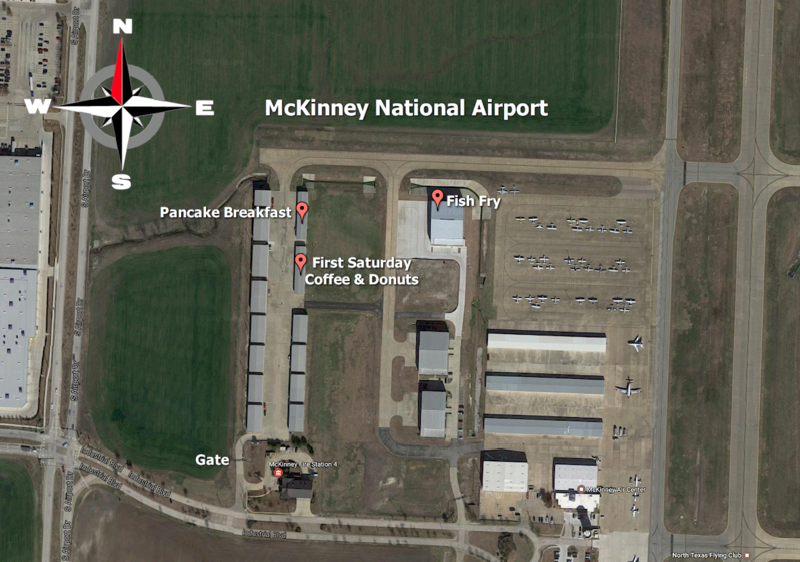 area at the McKinney National Airport (KTKI) in McKinney, TX. 9 AM - Noon. You don't have to be a pilot or a member to attend. Bring the family! See you there! Click on the images below for directions! We meet from 9 am until noon in Pat Longs Hangar on the first Saturday of each month at the McKinney National Airport (KTKI) in McKinney, TX. Everyone is welcome. Need more information? Feel free to contact any of our Officers. Contact us at youngeagles.eaa1246@gmail.com to learn more! For aspiring aviators ages 12-17... Come start your flying adventure.